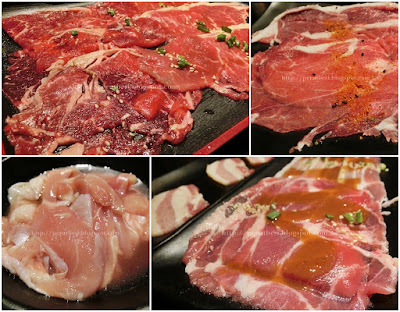 Rocku Yakiniku landed on the shores of Malaysia 2 years ago with their 1st outlet at Pavilion Kuala Lumpur opened on 13th December 2014. A year after i.e. 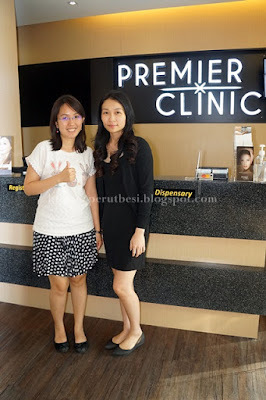 last year, they started their 2nd outlet at 1 Utama, which has since gained much popularity among residents in Petaling Jaya & its surrounding areas. The restaurant boasts of "a restaurant with daily entertainment" concept. Diners can expect to enjoy performances from live bands every evening, with magician shows taking over the stage every Saturday at 1 Utama & every Friday at Pavilion KL. There will be occasions where the entertainment is just too good to leave once the 100 minutes is up, so diners can actually pay the RM9.90++ for each additional 20 minutes to stay on & enjoy the performances/ continue eating! The restaurant has quite a good variety of pre-cooked dishes for diners to enjoy while they wait for the barbecued meats to be cooked & I have to say that their meats & seafood are fresh & tasty as well. As the meats & seafood aren't available from the buffet counter (to ensure freshness & hygiene are maintained), you'll just have to order your meats/seafood each time once you're done with your servings of meats/seafood. I personally think it's best to order, cook & eat & once you're about done with eating the 1st round of grilled meats, to order the next round. This will ensure that your meats/seafood aren't left on your table raw (exposed to heat & all) while you eat. Somehow I feel that it'll be better this way, especially for the seafood as such raw ingredients may change color when left out in the 'open' for too long. Their deep-fried chicken karage & tempura fried potatoes/sweet potatoes were really delicious. I didn't manage to snap some photos of them as they went into mouths far too quick! Here at Rocku Yakiniku, the grills & suction equipment used are different from those that you find at Korean bbq restaurants. I reckon it's a typical Japanese method of barbecue as I came across the same at Gyu Kaku Restaurant the last time. The smoke suction is at the bottom of the grill & not from the top of the ceiling. This helps to reduce the smoke smell in the entire restaurant lingering on your body & clothes as you walk out of the restaurant after your meal. The night was filled with excitement & we were all well entertained by William & Yin + the WILLIAM x ROCKU contestants. They were really entertaining. Such naturals/talent! I really enjoyed the night thanks to their hilarious & spontaneous emceeing. 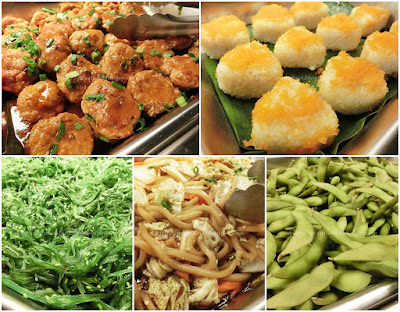 Apart from the delicious meats, seafood & vegetables, there are also an extensive selection of drinks available at the restaurant, which aren't included in the buffet price. We decided to try out the cold 'sweet sake' while we enjoy the performances that evening. Dessert: The Last Polka ice-cream! I was very delighted to find out that the restaurant offers ice-cream by The Last Polka for only RM3.90/scoop! It's by far one of the cheapest restaurants to find such premium home-made ice-cream with intense flavors. Most cafes are selling a cup of the same ice-cream brand for an average of RM9.90/cup. I think, even if 1 cup is equivalent to 2 scoops, enjoying this ice-cream here is still more affordable. Rocku Yakiniku changes their ice-cream flavors from time to time, so if you're here once a month or once in 2 months, you may find yourself enjoying a different flavor of ice-cream on top of your buffet spread. Not only did we get to witness & experience 10 different voices competing for the prize, but we got to listen to Yun Mei Xin singing PLUS William San singing as well! There was also a lucky draw for 4 lucky diners to win dining vouchers at Rocku Yakiniku. Together with them in the photo are One FM DJs Emily子颖, Yun Mei Xin 雲鎂鑫, Chrystina Ng 黄玮瑄, & Kyan. Winners for the singing competition: 1st prize winner! I rarely do movie reviews as my blog focuses more on food. The Ruthless Eater/PerutBesi covers not just food (although primarily food), but anything that comes with adventure & friendship as well :) It's been a "motto" that the blog has been living on for the past erm...9 years or so? Recently, I had the opportunity to watch a movie from the Singapore Film Festival (14 - 17 Jan 2016) at any either GSC 1 Utama or GSC Pavilion. Having live too far from the city centre, 1 Utama was no doubt my pick to watch one of the Singaporean movies featured in the festival. My schedule is somewhat tight these couple of weeks, but I managed to squeeze in some time to watch a family movie (with my family, of course!) on a Saturday evening. 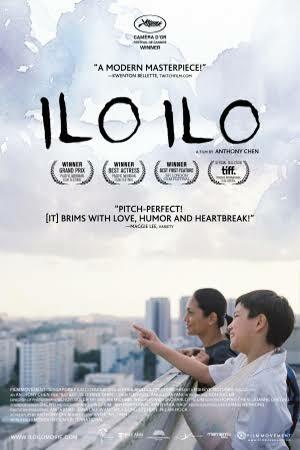 Ilo Ilo (爸媽不在家) was my best option as the timing for other movies that feature Jack Neo's creations, one of our family's favorites, weren't at the times where we could make it :( So our next best options were any other movies that won awards + in English/Mandarin or that were on Saturday evening where we could make it. The plot is set in a typical Singaporean lifestyle where a Chinese family who lives in the HDB flats has to hire a Filipino domestic helper, Teresa/Terry (Angeli Bayani) to assist them with looking after their son, Jia Le (Koh Jia Ler), who is a troubled delinquent, while they work. The father, Teck (Chen Tian Wen), works as a salesman for a glass company, while the expecting mother, Hwee Leng (Yeo Yann Yann), works as works as a secretary for a shipping company that is undergoing retrenchment. The movie began with Jia Le & Terry not having the best of relationships with each other as Jia Le deems Terry as an outsider who needs to share a room with him & be with him throughout the day. Almost everyday, Terry will get into trouble thanks to Jia Le's mischief & be bullied by Jia Le as well. Due to his mischief, Hwee Leng, the mother, receives calls frequently, either from the son or the school, where she had to leave the busyness of her stressful office work to meet the school authorities. As the plot grows, Teck losses his job, but hides the truth from his wife, with only Terry knowing the truth of her master. The poor mother, filled with stress & feeling helpless with her family's condition & her work stress slowly turned to a motivational speaker, thinking that it's her glimmer of hope for a better future. She ended up finding out that the seminars that she signed up for was a scam & she loss money from it. Not only was her husband jobless & slowly penniless (he loss money from buying stocks as well), she too loss more money from what they own.